There are two sequences in Don Letts’ Punk Rock Movie that will stay with you forever. These are moments when it seems that pop music is being beamed in from another planet. One is where Subway Sect are performing, and the other is the Slits playing live, with Palmolive pounding away on the drums like nothing on earth. Palmolive would not remain with the Slits for much longer. She reappeared with the Raincoats, continuing her subversion of the percussive norm. If ever the old maxim of London being the eternal magnet was proven to be true, then it’s with the Raincoats. Palmolive had come to London from Spain, while founder members Ana Da Silva and Gina Birch had arrived from Portugal and Nottingham respectively to attend art college at the time of the punk explosion. It’s well documented how Ana and Gina had been inspired by the rule breaking performances by the likes of Vic Godard and his Subway Sect and Poly Styrene singing with X Ray Spex. Perhaps more than anyone Ana and Gina took the punk philosophy literally, and reinvented themselves as what would become the most inventive and irregular of pop groups. The Raincoats’ records remain the most adventurous and strangest of pop records ever. It’s hard to think of any other series of records that are so inherently against rock orthodoxy, without making a big song and dance of it. Where so many of the punk generation paid lip service to breaking with the past, the Raincoats really recorded unprecedented music. Rhythmically and structurally their songs are joyously all over the place, and as time passed so the group pushed and pulled in all sorts of diverse directions, incorporating idiosyncratic instrumentation and melodic ideas that bristled and bridled. The Raincoats may remain unsurpassed, but they offered all sorts of possibilities. One of their big fans who seized their challenge was Sonic Youth’s Kim Gordon. Many years later she would write that they seemed like ordinary people playing extraordinary music. “They had enough confidence to be vulnerable and to be themselves,” wrote Kim. It’s something I’ve never quite been able to reconcile, but rock star Kurt Cobain’s enthusiasm for the Raincoats led to their reformation a decade on from their disappearance. A Sonic Youth-sponsored EP by the born-again line-up featured new versions of their two greatest songs, Gina’s 'No One’s Little Girl' and Ana’s 'Shouting Out Loud'. A new LP would follow, but it would be several years before I was brave enough to listen. My loss! I was at that time decidedly puritanical. I was very against the idea of comebacks. What’s done should stay done was the way I looked at things. 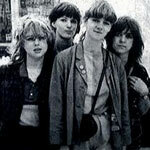 I particularly resented the fact that the oddness of the Raincoats which was really a new exaggerated ordinariness being linked with a resurgence in straight rock wrapped in portentous personal polemics. Nowadays I am all for people like Vic Godard and the Raincoats casting caution to the wind, and growing old disgracefully. So by the time Ana Da Silva got around to releasing a solo set, The Lighthouse, on the Chicks On Speed label in 2005 I was all for it. I loved what just might have been a Virginia Woolf reference in the title. 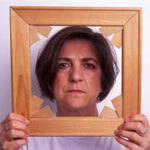 The Raincoats pioneering spirit had always made me think of Virginia Woolf somehow. I also love the fact that the record, a brilliant record, was made uncharacteristically using new digital instrumentation, a new departure, for no matter how experimental the Raincoats had been they were naturalistic and almost acoustic, away from the electronic experience. Still it was so wonderfully an Ana Da Silva set. And most of all I loved the fact the record was on Chicks On Speed’s label. C.O.S. had come to my attention through their covers of experimental punk feminist classics like Delta 5’s 'Mind Your Own Business' and Malaria!’s 'Kaltes Klares Wasser' at a time when it was not the done thing to do brattish electronic reworkings of old yelps of defiance. One of the appealing aspects of the punk explosion was when antagonists ventured into territory beyond the pop song. Labels like Fast, Factory and New Hormones were particularly good at this, and such multi-media/multi-discipline activity was something the Chicks On Speed trouble makers took on as a crusade. Like pioneers of the punk era, such as Linder of Ludus and (Little) Annie Anxiety, the multi-national if German based C.O.S. set come from a performance art background, where the pranks and plotting the pop world is normally so suspicious of is rather more encouraged. You name it, and the C.O.S. collective has done it in the name of art. Plays, propaganda, paintings, film, art installations, books, graphic design, fashion design, modelling paper dresses decorated with quotes from media reviews, and yeah some brilliantly mad pop records. Pop records like 99 Cents, which captures all the contradictions of the modern world ­ a disgust with global capitalism versus a love of cheap ephemeral rubbish, John Pilger alongside Karl Lagerfield, Prada and Primark, walls of noise next to melodic sweetness. Its successor Press The Space Bar ostensibly signified a return to punk primitivism, but the involvement of Cristian Vogel helped twist into it into more adventurous shapes. Indeed the Chicks’ choice of collaborators has been an important part of their adventuresomeness, and they remain firmly rooted in European electronic experimentation. Intriguingly Chicks On Speed started out as a fake band the media adored, but over time their activity has coalesced into a vibrant and important outlet for new music, largely unloved by the media at large. Putting out the Ana Da Silva record was a great move, but records from Suzanne Brokesch, DAT Politics, Angie Reed, Planningtorock, among others, suggest something along the lines of how pop should be imagined in the 21st Century. When one listens to some of the Chicks On Speed releases, or other European electronic pop from say The Knife or Barbara Morgenstern (who records for the Monika label run by Gudrun Gut, electronic adventuress who was part of Malaria!, home also of the great Cobra Killer), it’s easy to imagine how with a simple twist of fate these could be chart smashes, naturally alongside old Brian Higgins Xenomania productions like Girls Aloud, Sugababes, Rachel Stevens. Indeed Xenomania is every bit as great a pop name as Chicks On Speed. After all thinking back what could be stranger than the Flying Lizards getting a huge hit? And yet the Xenomania world seems one so based on photofit youth and obvious beauty while true pop subversion is about old Raincoats singing strange songs in the shadows once in a while.